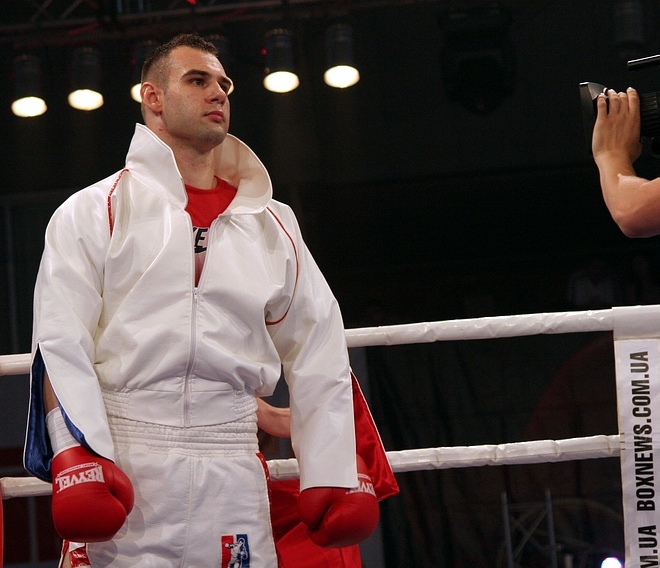 Croatian heavyweight Mario Preskar who fought in extremely dramatic bout against Maksym Pedyura on June 27th in Lviv at «World Boxing in Lviv» tournament said that he was not knocked down in the eighth and final round and that he collapsed after the final bell merely because of oppressive heat and poor ventilation in Sportpalace «Ukraine» in Lviv. Next day after the fight Preskar who was carried out on a stretcher from the ring said he completely recovered and was quite OK. «All that happened just because of terrible heat; moreover the ventilation was terrible», – Preskar said. «Besides I was completely dehydrated and my mouth was absolutely dry», – he added. «But fortunately now I’m much better. Medical examination showed that I was not hurt at all. As far as my low blows are concerned as well as my punches after referee’s break command sure they were unintentional. I must say that my opponent was absolutely wrong too when he tried to punch me when I was lying on the canvas». Preskar is sure that one-month interval after his previous bout against Daniil «Shrek» Peretyatko was not too short: «I train 11 months in a year and I'm always ready for a fight». The Mario Preskar vs. Maksym Pedyura dramatic collision full of heated exchanges ended in a draw in spite of two knockdowns in which Preskar was sent by Pedyura’s heavy punches to the head in the final round.